An Onawa man injured last week in a natural gas explosion in the basement of a vacant home has died. 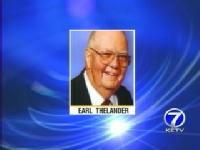 Earl Thelander died Saturday at Clarkson Hospital in Omaha. Officials say they think the home exploded when Thelander plugged in a fan to help vent fumes from a broken propane line leading to the furnace. Officials say the line had been cut when burglars were stealing copper lines from the home and cut the gas lines before leaving. Visitation and a funeral will be held later this week. ONAWA — A man injured in a natural gas explosion in the basement of a vacant house he owned has died. 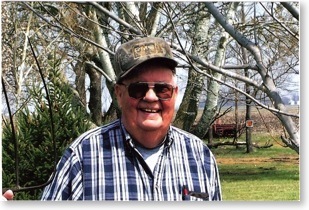 Earl Thelander, 80, died Saturday at Clarkson Hospital in Omaha, Neb. Thelander was hospitalized Tuesday with burn injuries after an explosion damaged the house in rural Onawa. The Monona County Sheriff’s office said Thelander had plugged in a fan to help vent fumes from a propane line leading to the furnace that had been cut. Authorities said they believed burglars were stealing copper lines from the house and had taken the water lines and apparently had cut the gas lines before fleeing. 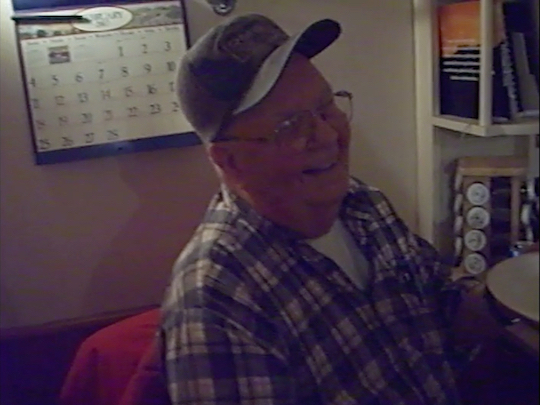 After the explosion, Thelander drove about two miles to his home. 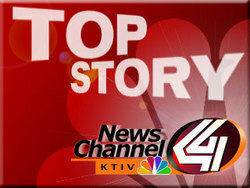 He was being treated at the Omaha hospital for second-degree burns over 40 percent of his body. 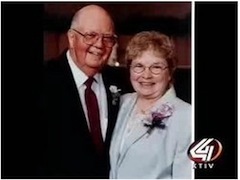 Visitation and a prayer service were set for Wednesday evening at Rush Family Care Service in Onawa. A funeral service is scheduled for this Thursday. I swear I wasn’t intentionally eavesdropping. In fact, I’ve wanted to tell this story for a long time. I’d been saving it for a chapter in my book, but feel now I’ve got to share at least part of it as it relates to “Dad Earl” and my mother, Hope. The year is 1992. We’d just recently moved to Northern California, where my husband had been assigned as an ammo inspector with the Department of Defense. My 11-year-old daughter, Jennifer (who, being very shy, made friends no easier than I had at her age), had unexpectedly brought two friends home from school. After introducing them to me, she ushered them toward her bedroom door, where on the other side I assumed they’d talk privately about the most important matters of the day — boys, teachers, moving to a new school and what-on-earth-ever-brought-you-Here? But before they reached my daughter’s bedroom door, I couldn’t help but pick up on her words, and I had to stop and listen. She said it so matter-of-factly. The tone languished somewhere between a child’s innocent bragging and one already versed in that which makes other people proud. “Really?” I heard one of the girls respond. And then her bedroom door closed and I heard only muffled voices. 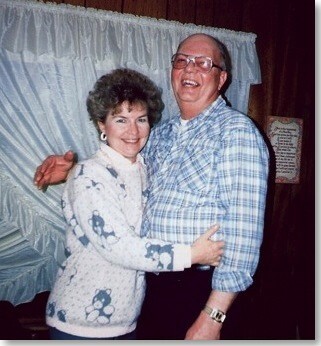 How could I have so underestimated the importance of what my parents do? Even my own daughter, at such a young age, clearly understood the role my mother and stepfather played in our community. 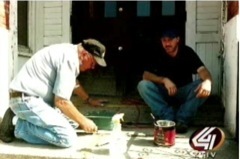 Together, they bought old buildings and worked long hard hours renovating them into apartments to provide affordable housing for the less fortunate in our small town. How could I have known that 15 years later, my stepfather would in fact make international headlines for having been killed trying to make life better for others? The article in Australia’s Scone Advocate may have a couple minor details wrong (Earl was preparing the house for a new renter, not to sell), but the underlying truth rings loud and clear: copper theft isn’t a problem limited just to Iowa, nor even to the United States. It’s become an international problem, and is costing hundreds of thousands of dollars along with innocent lives. 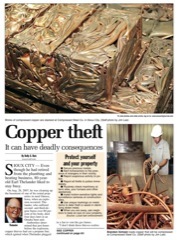 Though Iowa legislators currently are working on House Study Bill 660 in efforts to control illegal copper theft sales, thieves continue to find willing salvage buyers at recycling businesses throughout and state and the U.S. In Las Vegas, Nev., where salvage yards have gone from 60 visitors a day to over 250 visitors a day with salvage wire, KVBC News Channel 3 Investigators recently purchased nearly $200 worth of copper pipe at a local home improvement store. Then, along with a hidden camera, they took the copper out to sell for salvage. The station randomly picked three recycling businesses from the phone book to see if they’d be asked for photo identification, required for salvage sales in Las Vegas. All three salvage yards — the Silver Dollar yard on Lossee, Nevada Recycling, and a yard at Lakewood — purchased the copper without any identification. The seller’s ID as logged by Nevada Recycling? Zippy McGee. With copper content at all-time highs between $3 and $4 a pound, the stories of copper theft are growing almost as fast as the illegal sales. In Buttonwillow, Calif., $10,000 worth of alfalfa withered and died after thieves stripped copper wires out of irrigation systems throughout California. Almost $38,000 in materials was stolen in June 2006 in 10 copper theft in Yelm, Olympia and Tenino in Washington state, and in Tacoma, the frequency of copper theft in the Nalley Valley industrial area now has investigators helping businesses install camera surveillance. 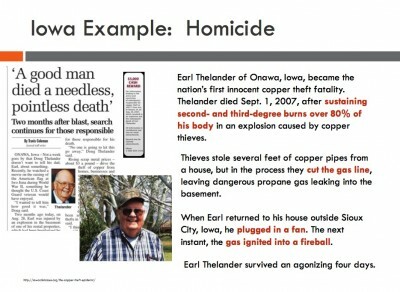 Kentucky has seen at least three electrocution deaths associated with the theft or removal of electric copper wire. And just last month, Detroit Firehouse No. 42 experienced delayed response times due to a repeat copper theft. I dare anyone to find a single state where copper theft is not a major problem. Still, to date there has been but one single innocent man who lost his life because of copper thieves. 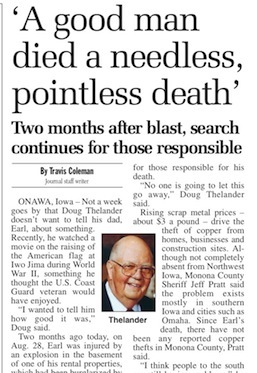 He became famous, all right, but I suspect my stepfather, Earl Thelander, would have preferred to remain anonymous and live out the rest of his life doing what he loved most: spending time with my mother, fixing up and providing homes for those less fortunate who couldn’t afford housing elsewhere, enjoying his family and grandchildren, and tending to his tomato plants.